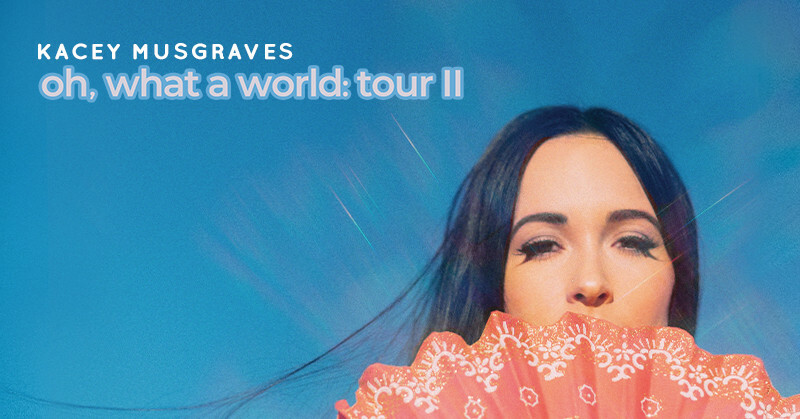 Beginning her songwriting career at the age of 8, Kacey Musgraves has gone on to become an award-winning singer-songwriter, multi-instrumentalist and a country music superstar. Her three studio albums have been critically acclaimed, the latest of which — "Golden Hour" — debuted at No. 4 on the U.S. Billboard 200, was nominated for the Grammy's Album of the Year and Best Country Album, and won Album of the Year at the 52nd Annual Country Music Association Awards. She comes to the Starlight Theatre on the O, What A World: Tour II on Wednesday, Sept. 4! Tickets go on sale this Friday, but Bridge listeners can buy tickets before they're available to the public, starting Thursday, Feb. 7 from 10 a.m. to 10 p.m., using the password WIG after clicking on this link or the poster below!